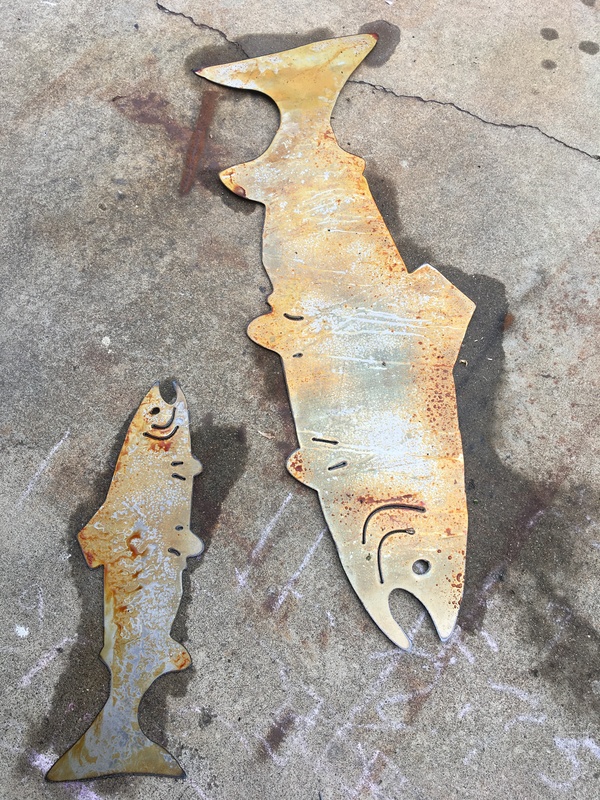 There are two sizes of metal trout available: 4′ long and 2′ long. 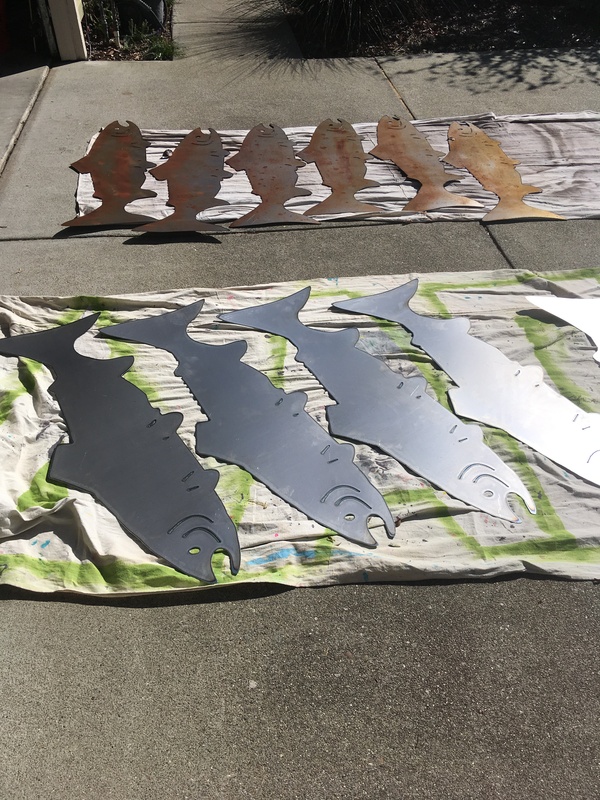 Each trout has a slightly different patina pattern. They are coated with clear acrylic.